I specialise in taking up hobbies, buying all the equipment, doing it for a bit, losing interest and then storing it all away to collect dust. One of those hobbies was beading. 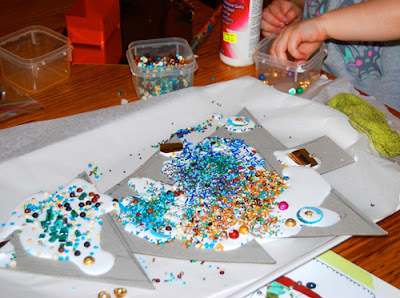 Cakey wanted to make a sparkly Christmas tree for her room so I decided all the unused beads could be sacrificed. I cut out the shape of a Christmas tree from thick cardboard (I used the back of an A3 pad) and placed it on a tray lined with baking paper. I gathered the beads into little containers and handed over the glue to Cakey. 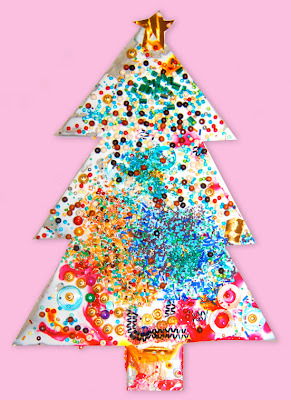 Cakey loved slathering the cardboard Christmas tree with glue and sprinkling/pouring the beads on. 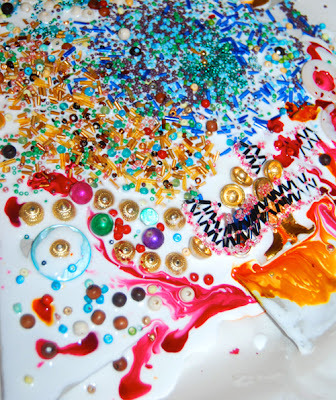 To cover up the lakes of pva glue I gave Cakey some small cups of pink and yellow food colouring and a dropper (my inspiration for this came from a lovely post on the fabulous blog Teach Preschool). 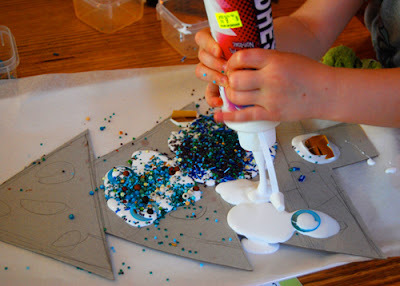 It produced a great effect and Cakey loved watching the food colouring dye shift and change when it mixed with the glue. When it was partly dry I peeled it off the baking paper and placed it on a clean sheet of paper. 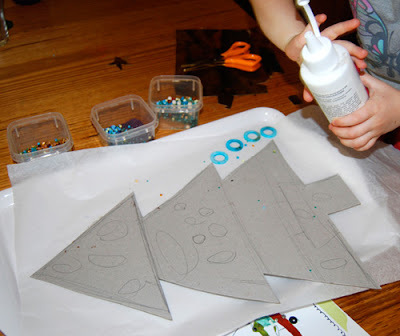 We actually did this activity on the day we left for our big trip so our tree is still sitting on the kitchen bench waiting for us to get home and pin up. This was a fun activity, but I did have to wait until Boo was asleep - beads and babies don't mix. 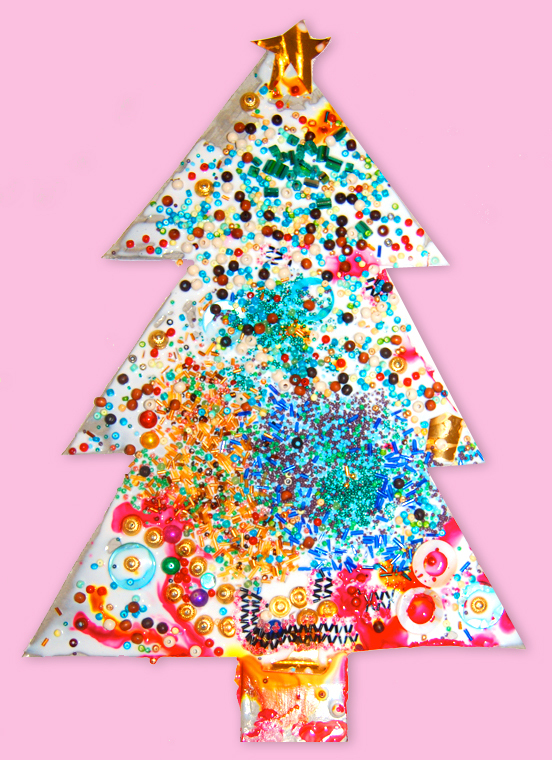 In hindsight, I would have made the cardboard christmas tree a bit smaller as we went through a huge amount of beads to cover it. But let's get real – it's going to be a while before I ever find the time to sit down and bead again. For another Christmas craft using beads and glue have a look at this and for more Christmas craft ideas check out my Christmas Pinterest Board. with a bit of luck it might just about be dry by now!! This activity would be a child's delight. Wow! What a fantastic tree! 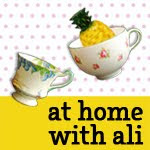 It looks marvellous! Great idea! I want to do this! Very Pretty! 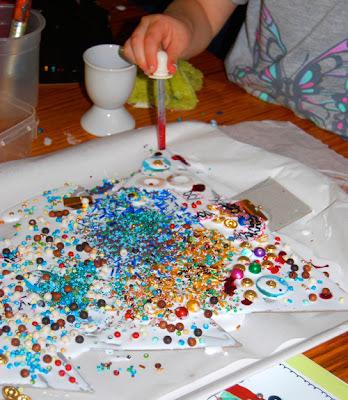 Lots of beads and glue sounds like a child's dream! That is some serious sparkle!!! I love it! Beautiful. I've got lots of beads too, since I suffer from the similar condition of taking up lots of new creative hobbies, buying all the stuff and then eventually moving on. It does mean that I have absolutely loads of art and craft materials that I can't bear to get rid of, and very little space! Love this. On our Christmas craft list. I love sparkly! Oh WOW! This is crazy beautiful!